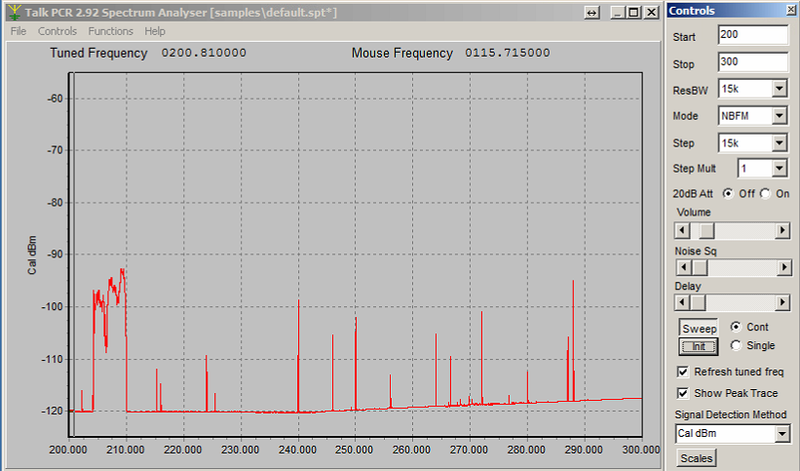 Note that since I’m using the venerable old PCR-1000 for these measurements, its receiver only goes to 1300 MHz. 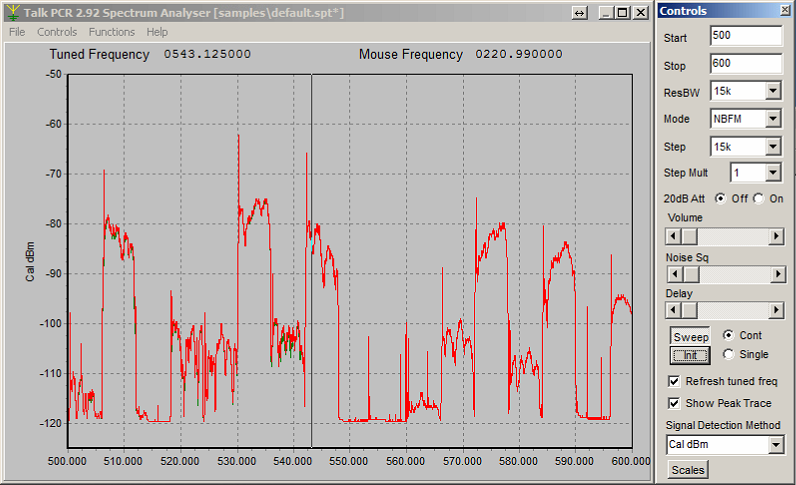 I’m very curious about the stuff I’m seeing the government aeronautical navigation band from 960 to 1215 MHz. 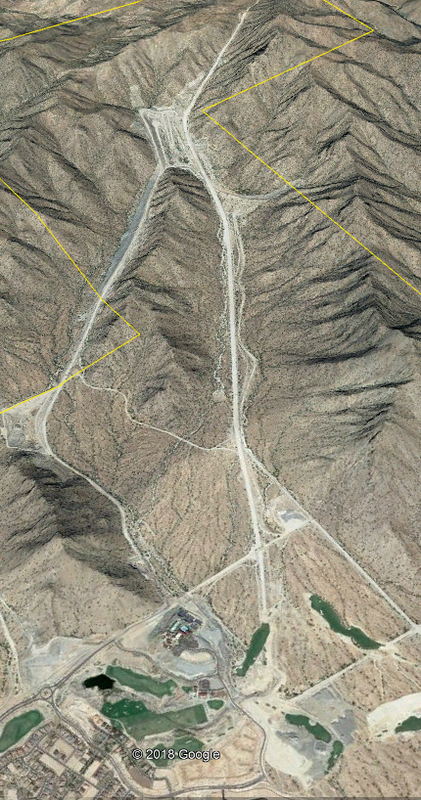 Maybe radars. Any ideas? 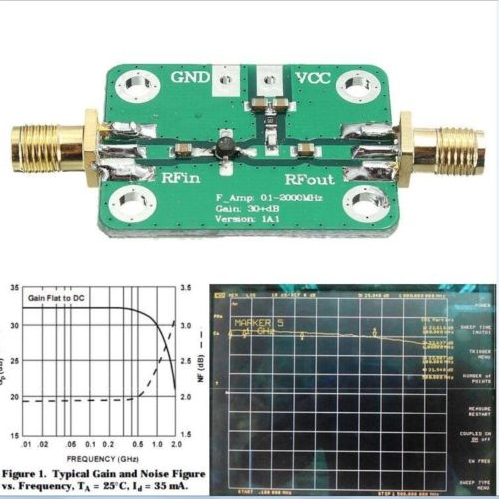 Saw this 8 to 11 MHz band pass filter (item number: 201406314462) on eBay a few weeks ago and thought it might come in handy to help my SDR radios hear WWV and WWVB while not being overwhelmed by other signals. 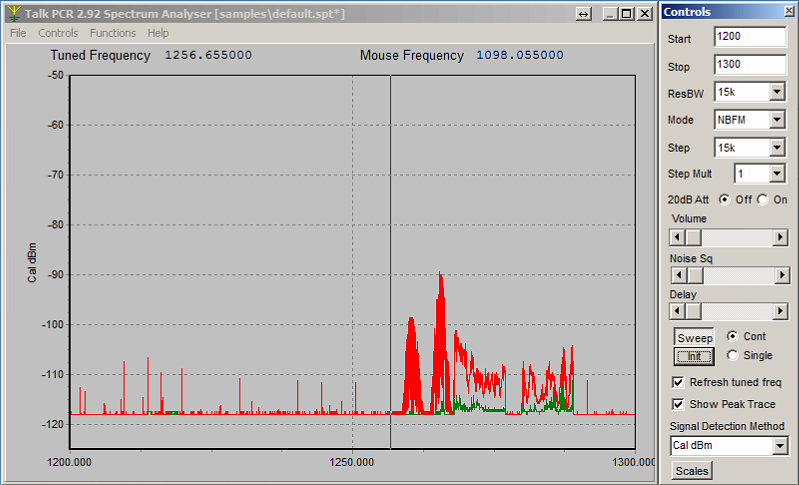 Here’s what the 1 to 100 MHz band looks like using the PCR-1000 connected through the new antenna multicoupler, without the new filter. 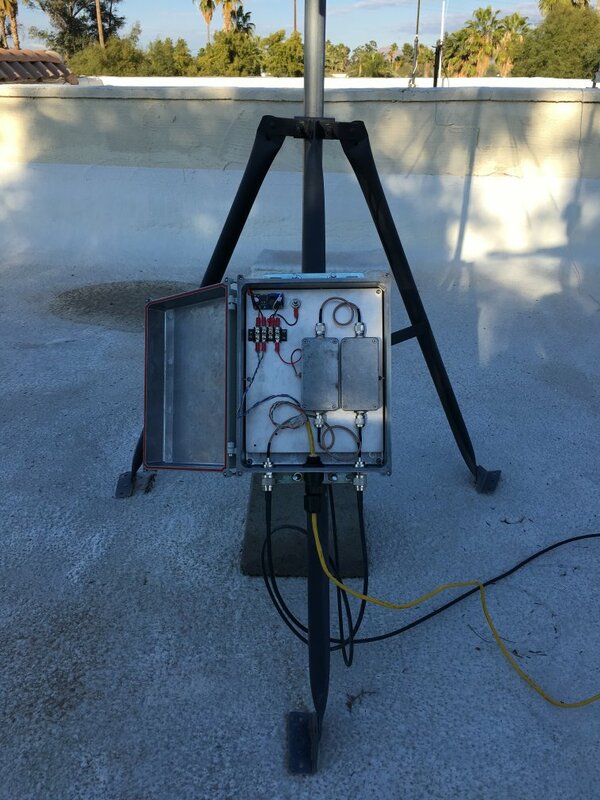 Remember, this antenna setup already has some significant attenuation below about 100 MHz since it’s using a VHF/UHF discone and the 10 to 2000 MHz LNA. 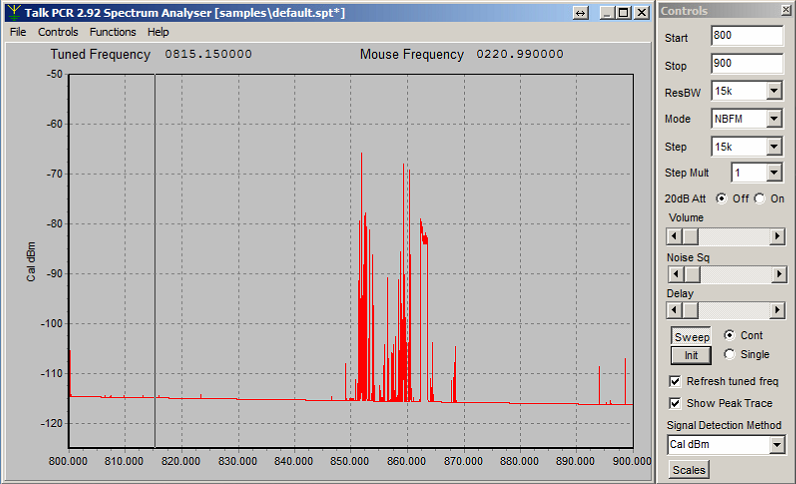 Here’s a plot using the ICOM PCR-1000 using the new BPF. Indeed, it has good performance, especially for the US$11.48 incl shipping. Today I finally synced up with my friend Doug and collected from him quantity five Coilcraft 0805 10 uH chip inductors. Tiny things. Had little caffeine today, so by the time I’d returned home I was pretty steady. 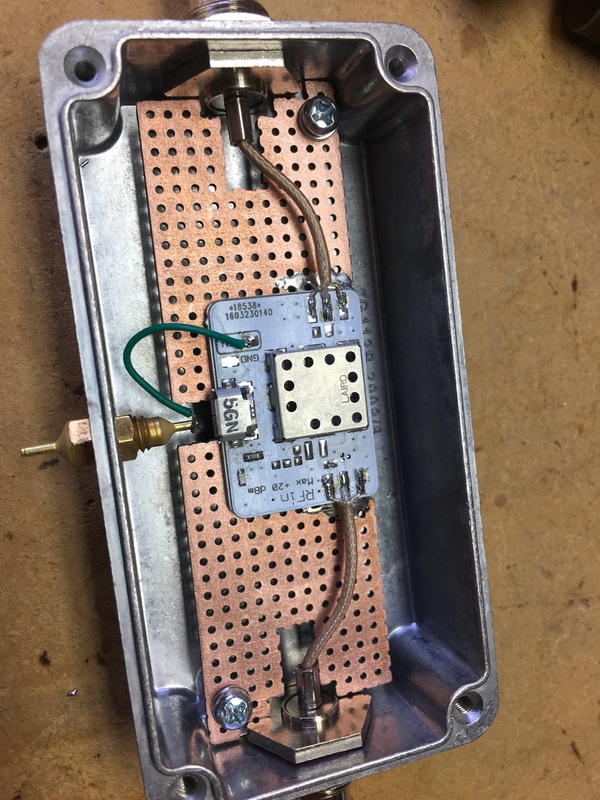 Brought the LNA down from roof, opened lid, clamped assembly down to bench so it wouldn’t move, put a drop of 60/40 on one inductor pad, and with my TU-10b tweezer I picked up the part and set it in place, then tapped the one end with the soldering iron. It was harder than I thought; the part weighs nothing and has no surface friction with the tiny bead of molten solder, so it instantly moved on me. After some re-approaching of the problem, I got the part securely attached. 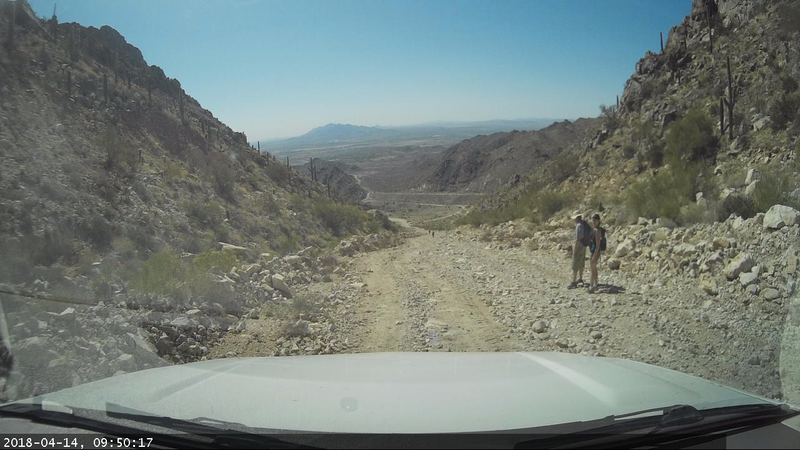 Checked continuity, everything looked good! Lid back on. 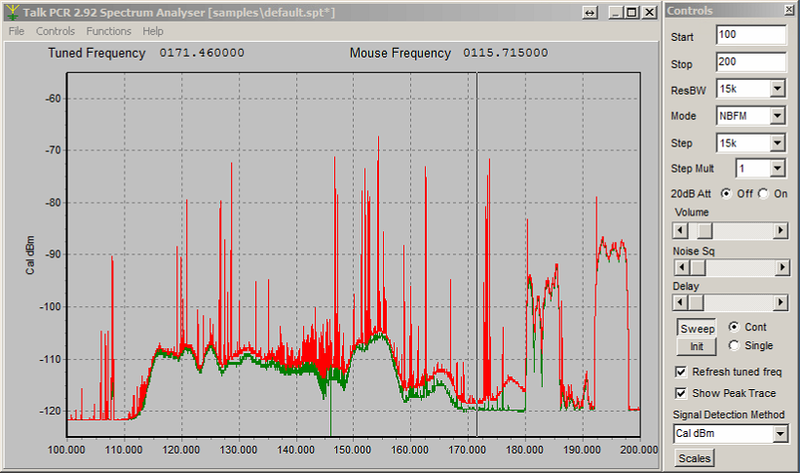 Connected it to network analyzer, and everything did NOT look good. 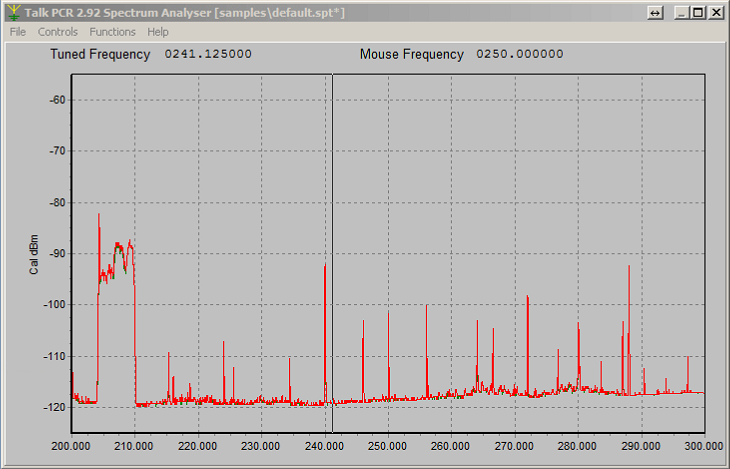 20+ dB gain above about 200 MHz. 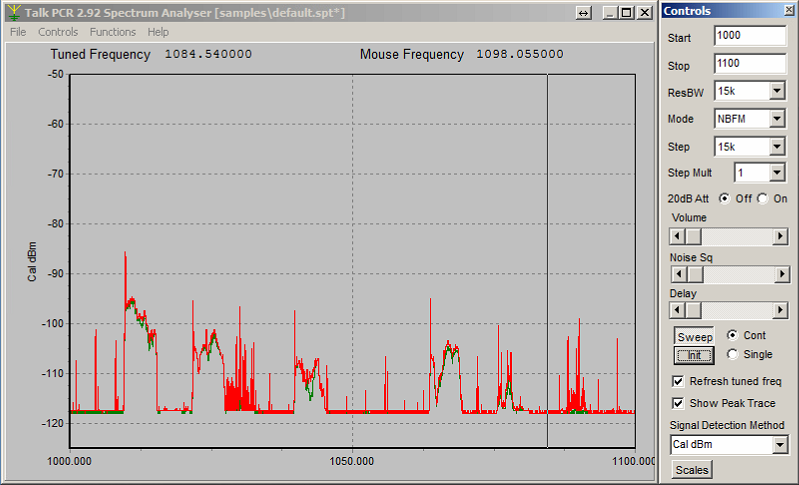 The whole 10-200 MHz output level was badly attenuated, and there were strange artifacts in the low end of the spectrum. Removed the inductor and everything returned to normal. Posted a note to the designer over on gpio.com and am awaiting a response. 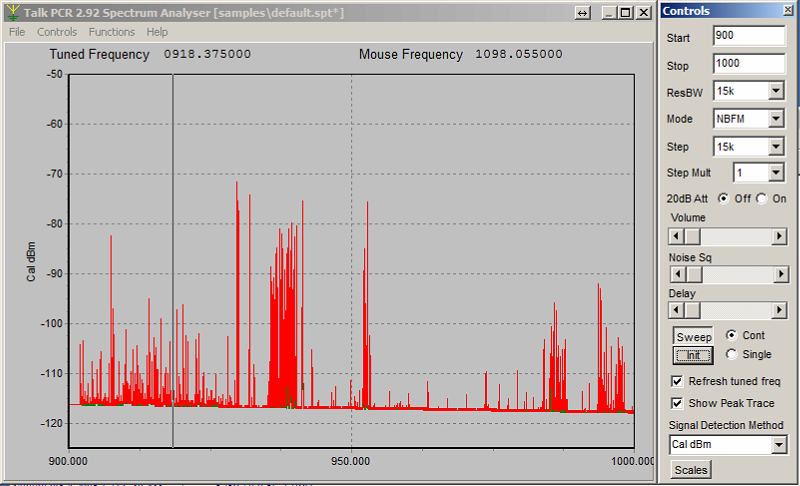 10 uH at 100 MHz is 6k ohms impedance, so it should be fine. 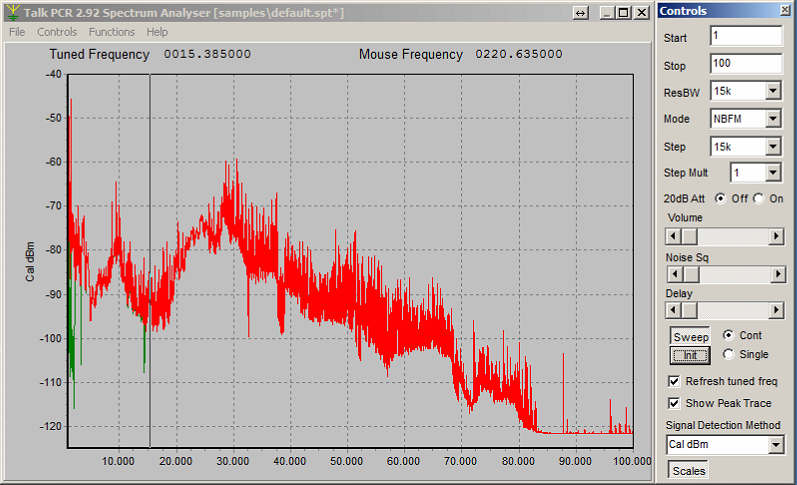 The LNA was drawing its typical current (~ 160 mA). Took another identical inductor and pressed it down on the pads with a plastic tuning stick, and did exactly the same thing as soon as it made contact. There’s something about that output circuit that doesn’t like the chip inductor. 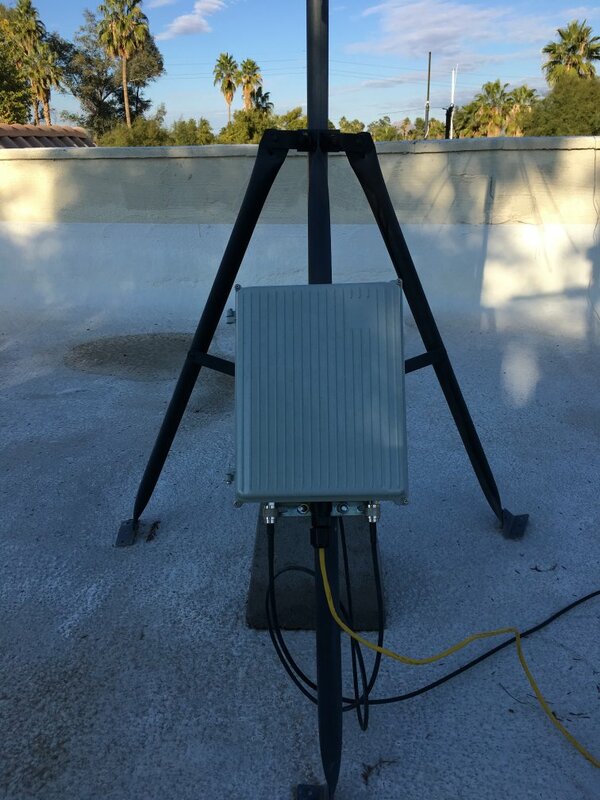 LNA mounted – time to test! To recap: I’ve taken the LNA that I purchased from iseeabluewhale on eBay and put it into a diecast aluminum box (purchased 10 of those from wonderco_buy on eBay as well). The TNC pigtails came from my friend Chris’ stash. The other bits and pieces came from the fossil beds of the garage. Turned out to not be so tricky to get the thing mounted and connected. Put it up on the roof behind the FM notch, and powered by 4 NiMH batteries. 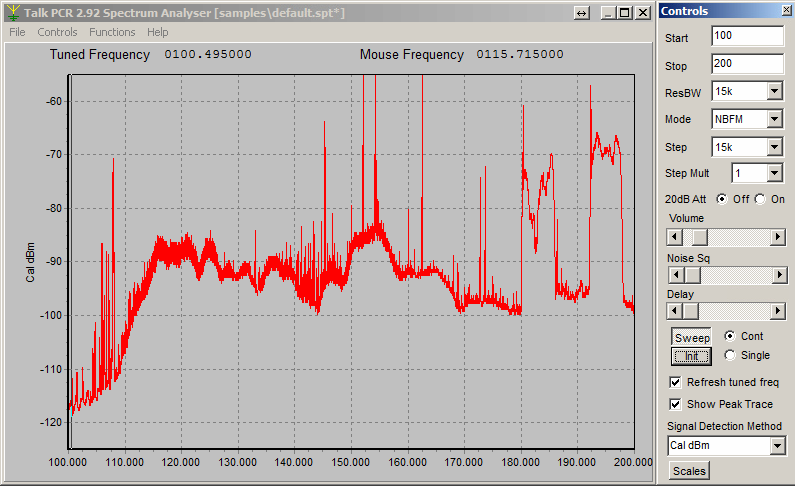 First test – sweep 100 – 200 MHz and see what it looks like. 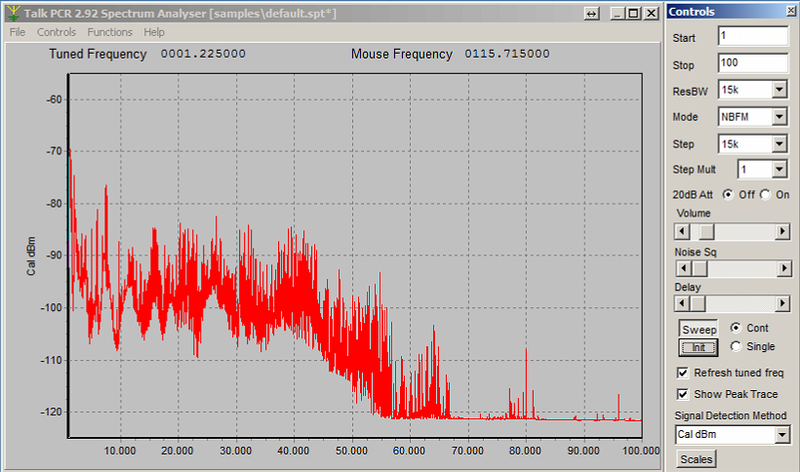 Hopefully it looks just like the sweep from last night, just 20 dB higher. No obvious instability or oscillation. All the signals I can hear, like NOAA weather, Arizona DPS, aviation AM, even the residual signals from FM broadcast, all clear and crisp. My my my. Looks like pretty good fidelity. 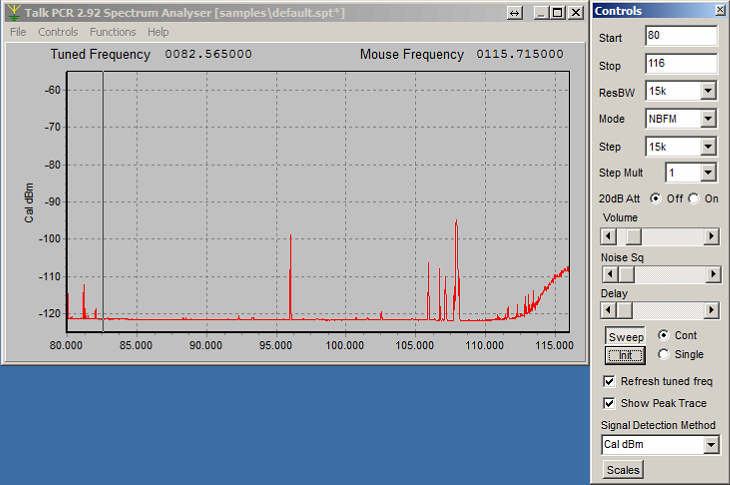 Now that the filter setup appears stable, it’s time for another assay of the spectrum around the QTH with the discone. Pretty big difference! 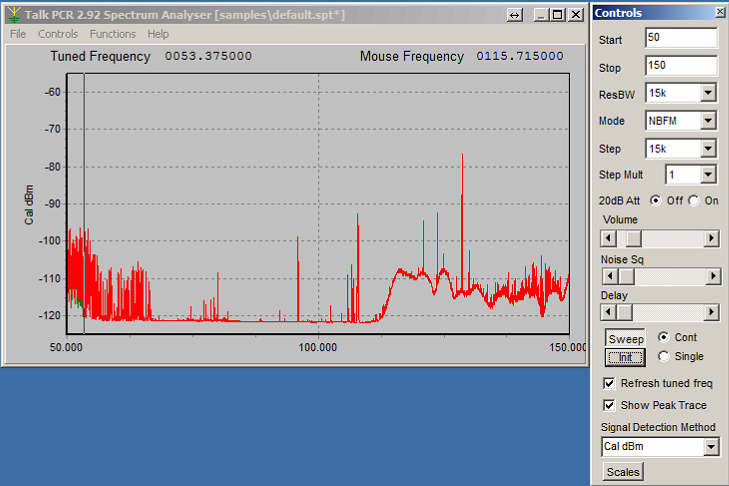 And just to check the ICOM demodulator, here’s the same spectrum using the AM demodulator. Low noise floor, more better! Still some strong interference, but livable. With most of the big interferers suppressed significantly, tomorrow I will put one of the LNAs in a case and get it up on the roof as part of the lineup. Wasn’t able to spend any time on this the past week or so, but today I finally tracked down the pesky problems that I was having with my temporary installation. I’d damaged one of the original TNC pigtails used to connect to the filter, and that created a sometimes 30 dB additional loss. 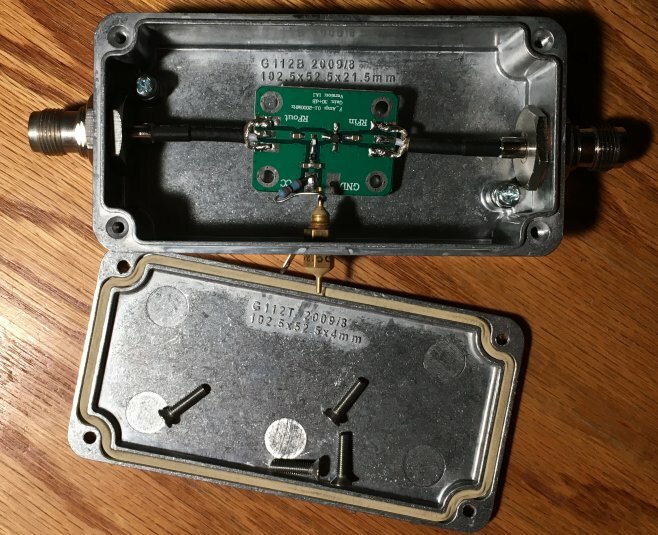 Also, I finally found a marginal to no-good TNC-f to TNC-f adapter that I was using temporarily to connect the TNC-m connector on the box to the UHF-m connector on the cable that runs from the roof to the shack. I don’t like UHF connectors of any type, but the discone has a UHF-f connection and this cable was originally connected directly to the antenna. Until I finish my next phase of project (getting LNA into a die-cast box as well) I will leave it this way. 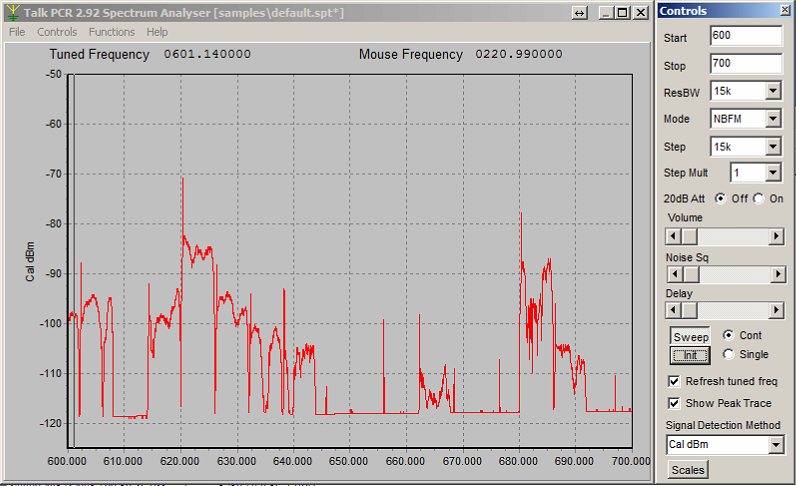 Using the ICOM PCR1000 receiver, here’s a plot of 50 to 150 MHz. 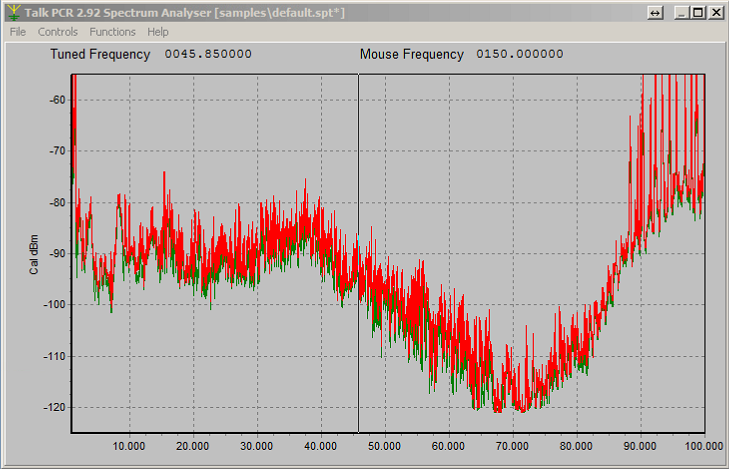 Pretty serious FM broadcast band suppression! Still a few broadcast stations making it through, but much better than before. 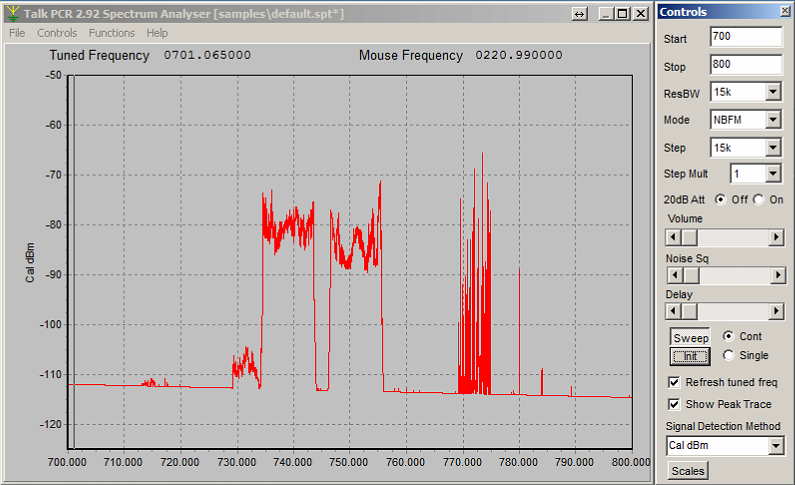 The plot below is the one from a few weeks back when I first got the filter assembled into the box. 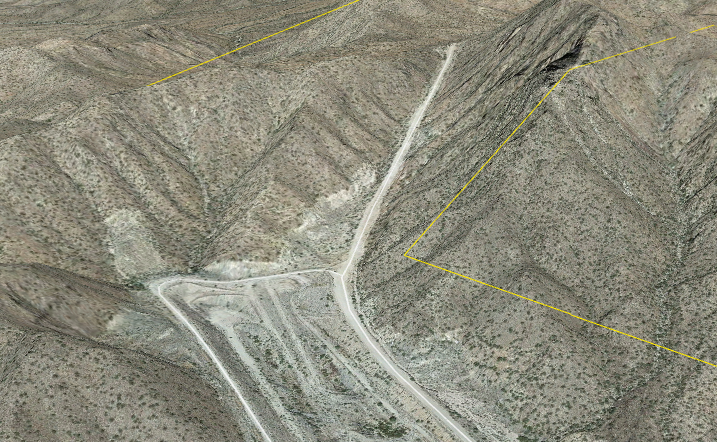 The following is what it looks like today. What’s changed? 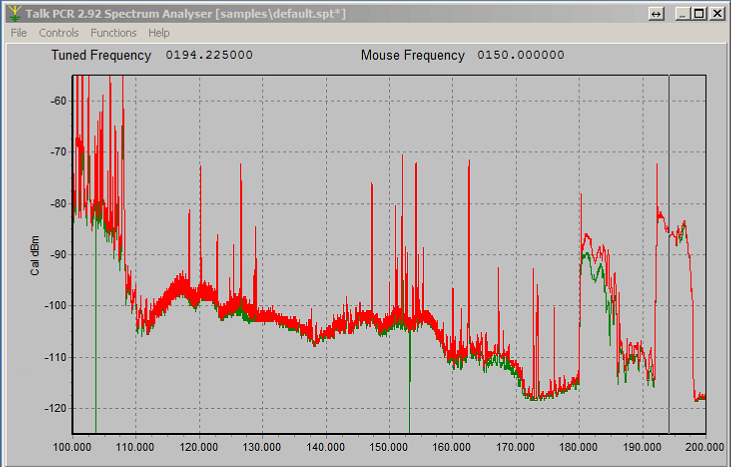 Certainly the filter/coax assembly is doing a better job of rejecting the FM broadcast stuff, but what’s curious is the new noise floor rise that wasn’t apparent before. 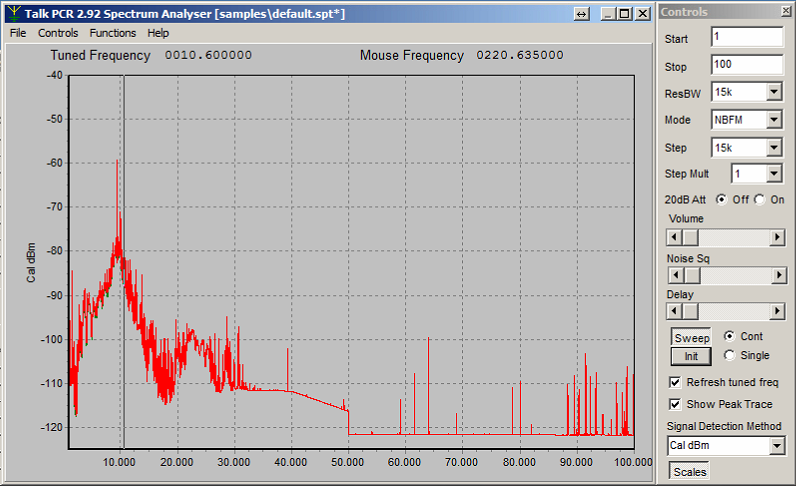 That noise floor rise corresponds to the band notch characteristics of the filter, but I don’t know why I didn’t see it before. Also, the installation needs to be rid of the coax adapters that I’m using while the project is midway. 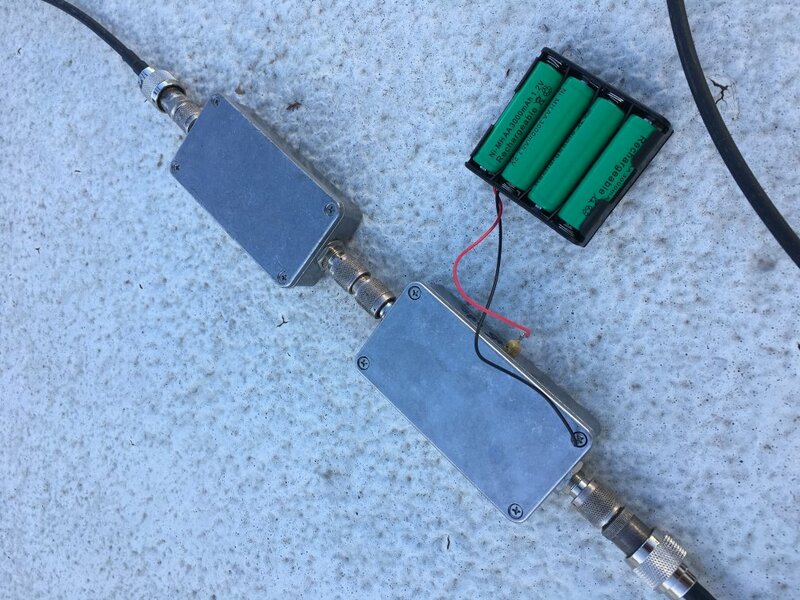 Once I get the LNA into a cast box, then both the LNA and the filter into a bigger cast box, I’ll install N-f connectors on the outside of the big box and will no longer need the adapters. 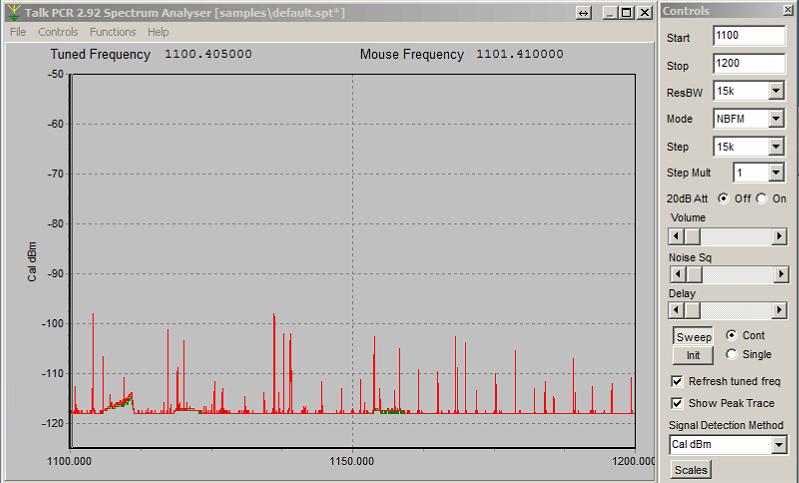 While I’m at it, what TV channels are detectable here? 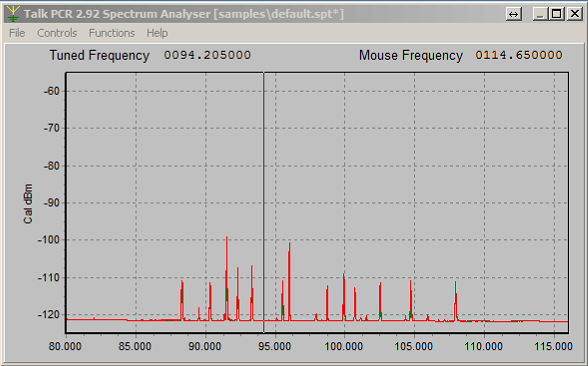 A couple posts ago I ran a scan of radio spectrum observed from a discone atop the house. There were a bunch of TV stations observed. This FCC site comes in handy to check these.